Grace is a professional photographer as well as tutor, mentor, encourager and overall good egg. Her name is Chinese but she was born and educated here. She laughs when I ask who or what inspired her to take up a camera. “I had a Nikon with me when, as we all did, I went off on the hippie trail to India in the 1960s”. Not really knowing how to use the camera, on her return she was more than disappointed by the results – “They were awful”. But rather than put the camera away, she decided to do something about it. A course led to a BA, then onto an MA at London College of Communication, where she returned to tutor BA photography students for eleven years between 1990-2001 – and she is still a visiting lecturer to art colleges and conferences/seminars. In her early photographic days, in the 1980s, when she was exploring the underground fetish scene, she was inspired by Robert Mapplethorpe – “ I liked the fact he did what he wanted to do and didn’t care what people thought”. But the image makers that have sustained an influence on her are female photographers like Eve Arnold and Susan Meiselas. And, of course, Cartier Bresson. For her Hastings venture 21stCentury Types, she was inspired by the great August Sander and his studio-based portrait project. So how did she land up in Britain? She came to Hastings ostensibly because her sister, textile artist Josephine Ho, lived in the area. Also the climate is warmer in the south and there is amazing walking country on the doorstep. I had always imagined Grace had lived in China into her adulthood. However, she was born in Britain, her parents were married here and she was born in the Chinese Embassy. Her father was a diplomat, she was educated here until her father was called back to China for four years. Her family, like so many, were severely affected by the Cultural Revolution. Her father’s family were intellectuals, her mother’s landowners, both classes targeted by Chairman Mao’s revolution. However, still having diplomatic status, the Lau family were able to fly out and consequently Grace’s parents, sister and brother survived – but her extended family did not. So, sadly, she can speak the language, haltingly now, but she no longer has any connections with China. Grace has exhibited at the National Portrait Gallery, Tate Britain as part of How We Are, Photographing Britain and Hastings Museum. 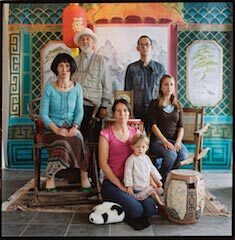 She has recently published a book, Portraits in a Chinese Studio, part of the 21st Century Types project she has undertaken in Hastings. During the summer of 2005 she set up a studio on the Hastings seafront. 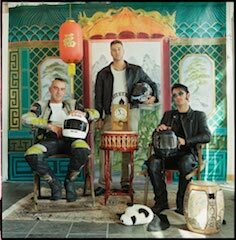 The studio had an exotic backdrop and a panda rug – an ironic nod to Victorian bearskins, otherwise it was ‘decorated’ by residents and visitors who brought themselves to the project with whatever ‘props’ they were carrying at the time. “I wanted to capture a segment of history in this town, which would reflect an archive of the diverse community here: ‘A moment in the life of Hastings’”. Taking 400 portraits over two months, she learned that a degree of ‘performance’ is essential to get what you want in a portrait. “The portrait scene is a theatre and the photographer directs the performance of the actors by posing the subjects. However, I didn’t need to do much direction, only asking them to look directly at my camera and keep still for the length of an exposure, as Victorian photographers did. 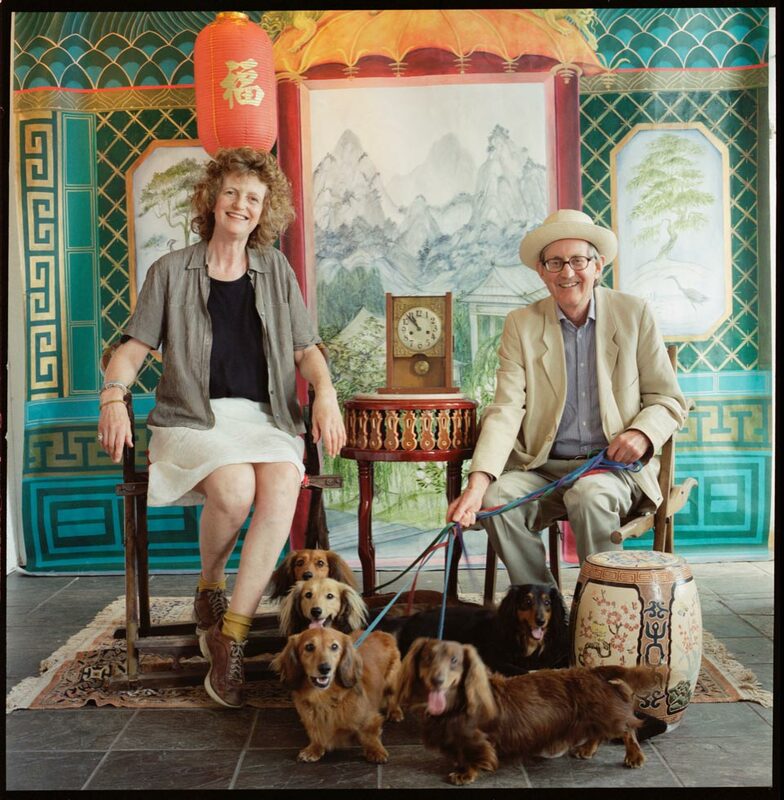 The project has a life of its own as several of the portraits are being exhibited at the Turner Contemporary in Margate as part of a major exhibition Seaside: Photographed which will then tour around the UK. If she really is retiring/retired, which I cannot quite believe, it is not a bad swansong. Grace may be small of frame, but she is big in character, and packs quite a punch. In 2005 Grace Lau was awarded the Arts Council of England Award for 21st Century Types. Book signing at Bells Bicycles, George Street, Hastings Old Town, 25 April 25, 6-8pm. Book signing at Photographers Gallery, London, 2 May 6-8pm (by invitation). Some of the portraits will be exhibited as part of the Seaside: Photographed exhibition, 25 May–8 September, 2019.